Enhance the overall health of your workforce by engaging your team in healthful practices. Bring the expertise of the Finish Fit® team to your workplace to raise awareness and promote wellness with seminars and fitness programs. Learn about our corporate health and wellness program! 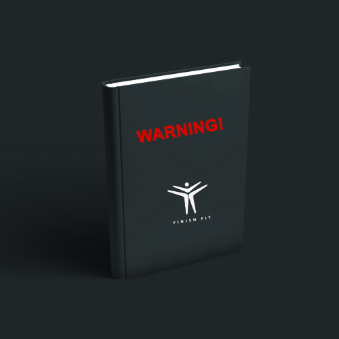 WARNING: Don’t Join Any Fitness/Health Club, Studio, Or Weight Loss Center Until You Read This FREE E-book. Incorporating health and fitness practices has been proven to benefit work places across the world. Here's just a few of the benefits. Happier Staff, feeling like they are part of something more than just work. Fit and Healthy Employees are less likely to get sick and take less sick days. Healthy team members have more energy, and spread that enthusiasm in the work place. Regular Fitness reduces Stress, and encourages clear, focused thinking. Shows the company cares about the team’s welfare. Finish Fit® Corporate Health & Wellness Program is an innovative collaboration of our Nutrition and Fitness coaches that creates a customized, goal-oriented plan for your team to achieve wellness objectives in the most efficient and effective environment. Wellness industry leaders have determined that in order to build a successful wellness program, you must find a way to build individual relationships with each participant for overall success of the program. Our Team approach builds relationships that create a culture dedicated to each team member's health and fitness goals by customizing our approach to EACH team member. Ideal for companies to maintain health and wellness within the workplace. Boot Camp in the Park:Get a group together and meet a Finish Fit® Coach in your local park. Every session is unique, mixing between interval training, strength circuits, core work and fun team games for that all important team spirit. We can add more or less of an emphases on team building, depending on your needs. We build your package to suit you: It's bespoke. Finish Fit® has an excellent team of professionals waiting to get started. We can travel anywhere in Southern California to a place that's convenient to you. Lunchtime seminars at your workplace to promote healthy eating. Superfoods: What are they and what’s so super about them? Who Pays? Either the company pays for the service, as an Employee Benefit. Or the participants split the cost, and pay us directly. Very flexible indeed.